But now I'm rapidly going off Blu-ray, and leaning towards HD DVD. For two reasons. First, the other day I purchased four Blu-ray discs from Amazon. They were Chicago, The Prestige, Deja Vu and King Arthur. I figured that I'd be safe from region code issues because none of these were new movie releases. Damn, King Arthur was released way back in 2004! But when they arrive, I find that all but Chicago were Region A encoded, and thus unplayable on Australian Blu-ray players. From now on, I purchase from overseas only HD DVD, or Blu-ray from Warner Bros. Why the latter? Because WB releases on both Blu-ray and HD DVD. It seems that they don't bother to apply region coding to Blu-ray, since the titles are on HD DVD as well. All four of the above titles are from Buena Vista. More information on Blu-ray region coding is here. One strike against Blu-ray. The second strike? Today I received a test Blu-ray of Die Hard 4.0. No sooner does it load into the brand new, new model, Pioneer BDP-LX70A than the accompanying message shows up on the screen. Blu-ray and HD DVD are supposed to be consumer devices. 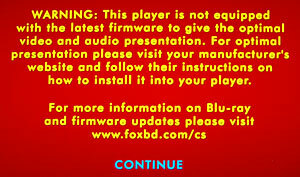 One should not be required to upgrade firmware on a consumer player to make it support discs for playback. As it happens, this disc does appear to play back okay, but the pop-up menu seems rather basic. What is it missing, if anything? - Enhances BD-Java behaviour of certain BD titles "The Die Hard". - Enhances BD-Java behaviour of certain BD title "Pirates of the Caribbean At World's End". - Enhances BD-Java behaviour of certain BD title "Big Fish". - Fixed the following two issues. 1) rarely won't play a certain BD title "Robocop". 2) sometimes output PAL video not NTSC (NTSC model only). As we understand, there may be continuing issues such as this, as the firmware is set when the players are produced, yet the software manufacturers are releasing more and more titles with this interactive Java content after the release of our players. Hence minor upgrades from time to time may be appropriate. I can assure you that we are doing our best to stay on top of this situation. Incidentally, as far as I can work out the disc was fully supported by the Pioneer player once you'd gone past that message. Over at Smarthouse, David Richards seems to have set the cat loose amongst the pigeons over the issue of Hitachi advertising its TVs as 'Full HD'. Richards argues that because these TVs accept only a 1080i signal, not a 1080p one, they are not full high definition. He assembles a wide range of opinions uniformly in support of his case. Unfortunately, things aren't quite so simple. I should add that I have yet to review any of the subject TVs, so I cannot offer an opinion as to their capabilities. But I can say that 1080i can indeed to 'Full HD'. The issue is complicated by the use of the same term to describe two -- actually, three or even four -- different things. First, there is the signal. HD DVD and Blu-ray players can deliver all the usual output resolutions (480i, 576i, 480p, 576p, 720p and 1080i). Almost all of them also deliver 1080p. 1080p can, in turn, be delivered in six different forms (at 24 frames per second, 25fps, 48fps, 50fps, 60fps and 72fps). Of these, all current 1080p-capable Blu-ray and HD DVD players support 50 and 60fps, and some also support 24fps. That is really a story for another day. What's important here is what the differences are between 1080i and 1080p, at whatever resolution. So let us just talk about Blu-ray and HD DVD, and them delivering their video at 1080i60 versus 1080p60. The problem with the Hitachi TVs seems to be that they will not accept a 1080p signal, only a 1080i one. The other common use of the term is to describe the 'resolution' of the display. I have for the last few years been using Full HD or True HD to refer to a panel resolution of 1,920 by 1,080 pixels, regardless of whether or not the display is capable of accepting 1080p signals. It appears that these Hitachi TVs do indeed meet my criterion for being Full HD. But if the TV can't accept a 1080p signal, doesn't that mean that its picture quality is poorer? Not on that basis alone. If the TV has been well designed, there are in fact some slight, occasional, losses by delivering the signal in 1080i format rather than 1080p, but there is also a gain. The gain is simple: the amount of data having to be transmitted is halved. HDMI cabling quality is less of a consideration with 1080i than it is with 1080p. Things are quite different with a 1080i signal. The HD player takes each frame and breaks it up into two fields. One field consists of 540 horizontal rows of picture pixels: every second row of the full 1080 pixel height of the picture. The next field contains the rest. These are subject to 3:2 pulldown. This is a fairly complex procedure, and to understand this I refer you to my piece Progressive scan in PAL and NTSC. Refer particularly to the section 'NTSC -- where interlacing goes wrong'. The resolution in NTSC video is different (720 by 480 pixels, rather than 1,920 by 1,080), but the interlacing process is the same. In short, a 1080i signal takes these frames and sends them in a decidedly weird, but regular, order to the display. Now here's the rub: the display can, if it has good quality video processing circuitry, completely reconstitute the original 1080p signal! For example, today I am using Marantz's fine VP-15S1 home theatre projector. A truly wonderful unit this is. It incorporates Gennum VXP video processing. When I feed it a 1080i signal from HD DVD or Blu-ray, it is quite indistinguishable from when fed a 1080p signal. Or it has been so far with the tests I've got. The one significant weakness of this projector is that you cannot 'force' it into film mode, so it could potentially misinterpret some film source material as being HD video sourced, and therefore apply a more complicated deinterlacing algorithm, reducing picture quality. It certainly does this from time to time with PAL DVDs delivered in 576i format, so I'd be surprised if it wouldn't do the same thing with Blu-ray and HD DVD. It's just that I have yet to identify suitable torture tests to allow me to closely examine this point. I also use a DVDO iScan VP50PRO video processor. Amongst its many other virtues, this can also do the same trick, and can be forced into film mode, and so reconstitute a 1080i signal to a perfect 1080p one (and even deliver it at 24, 48 or 72 hertz if your display permits). Once again, I don't know what kind of video processing the Hitachi TVs have, so they may not be able to do this. But I won't know that until I try it out. In short, the ability of a Full HD display to accept a 1080p signal is not necessarily an indicator of quality (especially if it lacks 1:1 pixel mapping), but its inability does not necessary mean that it is incapable of displaying full HD pictures. It's just that the progressive scan business happens inside it, instead of outside it. How competently it does this is the decisive issue. How can you tell? Read suitable technical reviews that drill down into actual performance issues. If in doubt, purchase a 1080p display. The chances are higher that it will do a good job. After all, these days there's not good reason why a display wouldn't accept a 1080p signal other than penny pinching. UPDATE (Wednesday, 14 November 2007, 11:19 am): Last night a pleasant fellow by the name of Jacob Campbell emailed me about this matter. He points out that the TV in question, the Hitachi P50X01 will indeed accept 1080p signals. So my discussion above is pretty much irrelevant to the current controversy. When I wrote this item, I didn't know which TV the matter related to, nor did I particularly care. I was more interested in the general 1080i/p issue. The level of confusion about this seems immense. For example, I drew the attention of Smarthouse (the online site that has launched the accusations against Hitachi) to this comment and received a call requesting permission to republish this piece. I declined (I write for too many competing publications), but indicated that fair quoting was acceptable. A few hours later a report on my discussion appeared at Smarthouse and, as far as I could tell, quoted this entire piece, but simply broke it up into sections with a little editorial comment wrapped around it. I was also given a byline as a coauthor. I objected, and within the hour half the piece had been dropped and my name removed from the byline. I mention this in case any readers saw the report with my byline. What was interesting about this incident was not all that stuff, but the fact that Smarthouse apparently felt it relevant to use this discussion. The TV does accept 1080p singals, including 1080p24. So my discussion adds nothing to the debate. Which begs the question of how much Smarthouse knows about this particular issue. Had I been writing specifically about this TV, I would have learned about the TV and offered a relevant opinion. As I do in the post above. 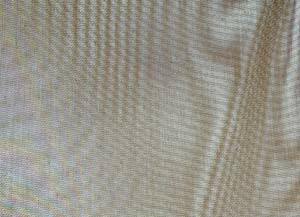 From time to time I mention moire as an artefact of video systems, often due to poor deinterlacing of progressive scan material. See for example here, and here, and here (near Figure 2). Here's a real world demonstration from my home, not from a video display. Some of our windows have external pull-down blinds made of a beige shade cloth. This is a fine weave, somewhat like flywire. The pattern shown is made by looking through both the regular fly screen on the window and the shade cloth. Interference patterns are caused, generating those swirly broader lines. As the breeze blows, these shift and curl and warp, they broaden and narrow, they alter from straight to curved and back again. You often see moire patterns in the real world. Where you don't want to see them is on your TV display, generated by accident. The first plasma display I reviewed was the Pioneer PDP-V401E, way back in 1998. Then, this 640 by 480 pixel unit cost $17,000 and I thought it was pretty amazing. Since then, plasma TVs have got better and I've got more discerning. In general, I've got more discerning faster than plasma TVs have got better, so I've usually found some element of picture performance unsatisfactory. That was until now. With Pioneer's new range of Kuro plasma TVs, plasma has caught up and overtaken my higher standards. It first started a couple of weeks ago when I went to Pioneer Australia's Melbourne headquarters. They had set up a couple of the new Kuros in a fairly dark conference room. There was a fifty inch one, sitting next to a seventh generation Pioneer (the previous model, the PDP-507XDA) and a Sony Bravia X-Series LCD and a recent Panasonic 50 incher plasma. What intrigued me on entry was the new 42 inch Kuro at the end of the room facing me. Its screen was black. But was it on, or was it off? Except in the very brightest rooms, I can always tell if a plasma TV is switched on, even if it's showing a full black picture. But I couldn't be certain with this one, despite the dim room. Yes, it was on. The blue indicator light was showing, so it must have been. I trust those contrast ratio specifications. These are not 'dynamic' numbers, but the native performance of the panel, regardless of whether the screen content is bright, dark or mixed. For example, a test Blu-ray had a colourful small flower in the middle of a full black background. On the Kuro PDP-508XDA it just popped out, almost hovering above this absence of anything behind it, unlike the other large TVs in the room, which all seemed muddy by comparison (especially the LCD). Pioneer had some nifty test clips on a Blu-ray disc showing how good the TV was an deinterlacing 1080i, eliminating mosquito and block noise, and so on. It seemed to do all this perfectly, unlike all the others. So I whipped out my deinterlacing torture test DVD, expecting to find a flaw in the processing. After all, Faroudja DCDi and Silicon Optix HQV in their 'Auto' modes always fail at points on my two main test clips. Bloody hell, the Kuro processed them all perfectly. Unbelievable. I went upstairs to another (darkish) room where they had the full 1080p 50 inch model, and it simply repeated this performance. What else is there? All four models come with three HDMI 1.3 inputs, all support 1080p24 and, indeed, not only support it but present it at the correct frequency so Blu-ray movies are silky smooth if you have a Pioneer or Sony BD player, or a Playstation 3. All have both analogue and HD digital tuners. All have a USB port for photo display. All come with a five year warranty, toll free customer support line, free delivery, free installation, free in-home demonstration. They aren't cheap, but they are magnificent. 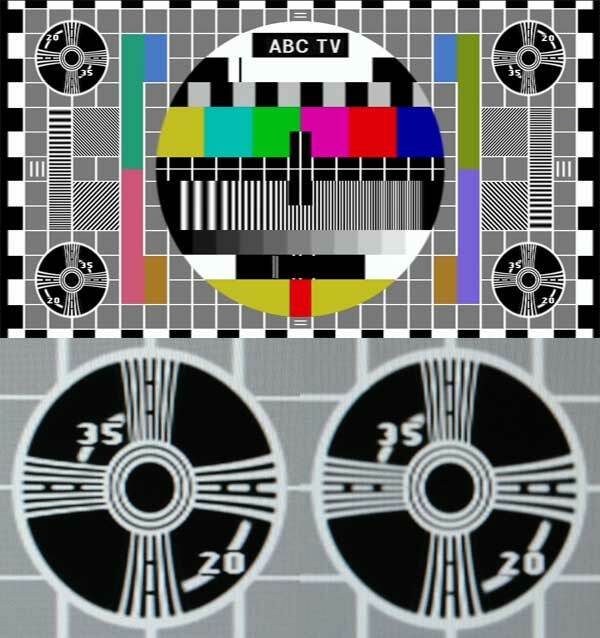 Someone on the DTV Forums recently posted a snippet of an ABC test pattern that he'd captured from ABC 2 digital TV. It's 38MB, but he also posted a shorter trimmed version coming to 8MB (link here). That snippet is going to take its place on my DVD suite of deinterlacing test patterns. I've just done a couple of tests to see how it is affected by different deinterlacing techniques. See the following graphic. Obviously the top section is the whole pattern. The bottom two sections are closeup photos I took of my computer screen showing this pattern played in Cyberlink PowerDVD. I photographed the bottom right resolution circle. The one on the left is with deinterlacing forced into a simple weave. The one on the right is with bob deinterlacing. My claim that bobbing reduces sharpness and resolution appears to be borne out here. Look at where the white line to the right of the circle abuts the one to the left of the other circle. Check out the seven white lines on the left side within each circle. Look at the definition around the digits, especially where they cross the curved lines. Now look at the vertical curved lines. There's really nothing much to pick between these in the two pictures. Likewise, look at the 'hole' in the centre of the '0' in '20'. Pretty much the same. Bobbing does not affect horizontal resolution, only vertical resolution. As it happens, I took these photos from my computer monitor because I presently don't have any way of properly producing a 'weave' through my system as set up today. Soon I will be obtaining a DVD VP50 Pro which will enable me to replicate this on a projector, and I'll do so then. But I am confident that the HD set top box on which I played this was using bob deinterlacing. As well as being soft, there was a vertical jitter in the horizontal lines. As it happens, this particular video is interlaced, but there are only three small areas of the screen which are moving. The main part is the two vertical lines in the horizontal black bar near the bottom of the large circle. These move horizontally across the width of this black bar, bouncing back at each end. In fact there is only one line, but because this is interlaced the line is completely separated in the two fields and appears in this shot as two lines. There are also a couple of hard-to-see pale coloured scan lines that swap around between each other at the edges of the background section. These can't be seen in this shot. A good motion adaptive deinterlacer will bob these moving sections of the picture, but weave the rest producing mostly the higher detail seen in the 'weave' detail at the bottom left. When I was on the scrounge for Blu-ray discs last year (it's difficult reviewing Blu-ray players when you don't have any discs), I hassled various movie distributors until they shot a few my way. One company to come through was Twentieth Century, which sent over a bundle. All of them were so-called 'Test Molds', including a copy of the first dual layer Blu-ray disc, Kingdom of Heaven. The only problem was this disc was very flakey. It only occasionally worked at all in the first two Blu-ray players I tried, the Samsung and Panasonic models. And when it did work, it would stop half way through the movie. Naturally I took the opportunity to try it out in the new Pioneer player. With this player -- and the LG Super Multi Blu hybrid Blu-ray/HD DVD player -- it started properly and promptly every time I inserted it, but with both players it also stopped halfway through. So what's up with this disc? Perhaps it's faulty, or perhaps it doesn't contain the second layer at all. In any case, with every Blu-ray player it stops in Chapter 32 at precisely 93:38. But there's another fault with this disc, one which may well transfer through to the release version: a halo. 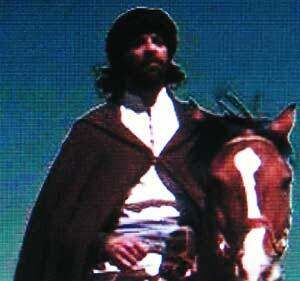 At the start of Chapter 17, a couple of the characters are riding their horses to some town (I haven't actually watched the movie yet, and won't until I get a working copy). I happened to pause the disc on this scene, and was amazed! Truly, the sloppiest cut and paste seen in a big budget movie. This 'halo' was apparent through most of this short riding scene, but didn't seem to appear in any of the other places in the movie I sampled, including many similar scenes. But notice how deep the blue of the sky is in the shot I've placed here. The only way you could film that live would be with a polarising filter and, in my experience, this scene's sky is too deep a blue even for that technique. So my guess is that the film makers decided that the sky was too light in this scene and decided to deepen it in post production. But not very well. Interestingly, so far as I can tell, no one else seems to have noticed this.